It has been said, “Choose a job you love, and you will never have to work a day in your life.” Doug loves helping people protect their families, their values and their wealth. Doug is one of six children, born and raised in Sioux Falls, South Dakota. He graduated from Washington High School, The University of South Dakota with degrees in Political Science and Philosophy, and The University of South Dakota School of Law in 1988. Doug has been practicing law in South Dakota since 1988. Doug has served South Dakota’s courts as a judicial law clerk, the people of Minnehaha County as a deputy state’s attorney, and the Flandreau Santee Sioux Tribe as a tribal prosecutor. 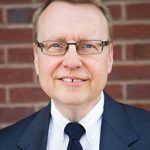 In private practice, Doug served a variety of clients in a broad field of practice until being drawn to estate planning, elder law and business succession planning. Doug was the founder and principal of Thesenvitz & Mickelson, LLP for 18 years until one day he got a call from Carolyn Thompson. Doug believes that call was an answer to a very specific prayer of his. 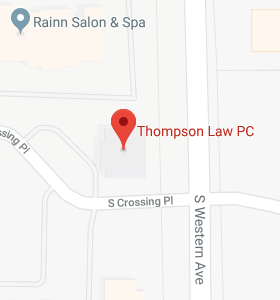 He joined Thompson Law, P.C. on May 1, 2018. Now Doug serves families and individuals with wills, trusts, probates and trust administration. He also advises family business clients on a variety of business matters, including formation, maintenance and succession.